He fought in the Soviet Russian Red Army's 25th Rifle Division during the Russian Civil War. He graduated from the Moscow Aerophotogrammetry School of the Red Air Fleet in 1921 and subsequently taught there and at the A.E.Zhukovsky Air Force Academy until 1935. 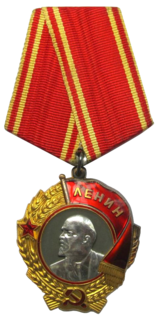 Aside from the Order of Lenin awarded together with the title Hero of the Soviet Union on 24 July 1936 (subsequently Gold Star № 9 was also added), Belyakov was awarded another Lenin Order and was a recipient of three Orders of the Red Banner, an Order of the Patriotic War 1st class, Order of the Red Banner of Labour twice, three Orders of the Red Star, and additional medals. ^ a b McCannon, John (1998). Red Arctic: Polar Exploration and the Myth of the North in the Soviet Union, 1932-1939. New York: Oxford University Press. p. 70. ISBN 978-0-19-511436-2. ^ Alley, Bill (2006). Pearson Field: Pioneering Aviation in Vancouver And Portland. San Francisco: Arcadia. p. 125. ISBN 978-0-7385-3129-8. Yekaterina Ryabova was a Soviet World War II aviator awarded the title of Hero of the Soviet Union on 23 February 1945 for her bombing missions as a navigator. 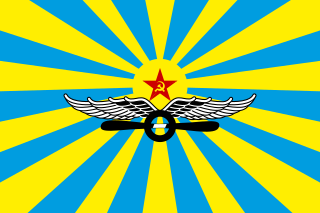 She attained the rank of senior lieutenant as a member of the 46th Guards Night Bomber Regiment, in which she flew 890 night missions in a Polikarpov Po-2. Alexander Vasilyevich Fedotov was a Soviet test pilot who was a Hero of the Soviet Union, Honored Test Pilot of the USSR, Lenin Prize holder and Major-General of Aviation.